The Available to students setting determines whether the course appears in the list of courses. Apart from teachers and administrators, users are not allowed to enter the course. 2.Click on the course you want to make available. 3. Click on Course tools. 4. Click on Course settings. 5. 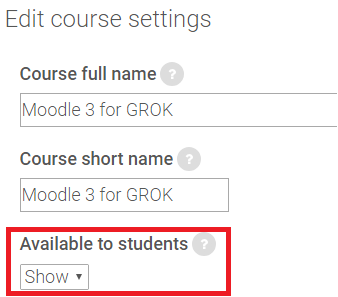 Click the Available to students dropdown menu, and select Show.